Following is a list of Vegetarian Restaurants all over Sydney. These restaurants only serve vegetarian food, no meat at all on their menu. 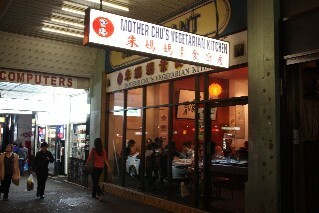 Mother Chu's Vegetarian Kitchen (reviews) 367 Pitt Street Sydney Ph: 9283 2828. Vegetarian and Vegan Taiwanese cuisine. Open Monday to Saturday for lunch 12pm - 3pm and dinner 5pm - 10pm. For restaurant reviews for Mother Chu's Vegetarian Kitchen click here. Harvest Vegetarian Restaurant 71 Evans St Rozelle Ph: 9818 4201. Open for dinner Tuesday to Saturday from 6pm. Green Gourmet Restaurant. Spicy vegetarian and vegan cuisine. 115 -117 King St Newtown Ph: 9519 5330 and also at 438 Pacific Hwy St Leonards Ph: 9439 6533. 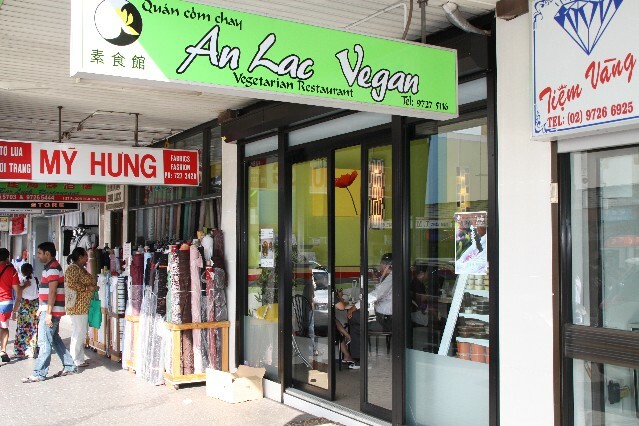 An Lac Vegan Vietnamese Restaurant (reviews) 94B John St Cabramatta Ph: 9727 5116. Open everyday from 8am - 5pm. For restaurant reviews for An Lac Vegan Vietnamese Restaurant click here. Nha Hang Chay Vegetarian Restaurant Gladestone St Cabramatta Ph: 9727 9800. 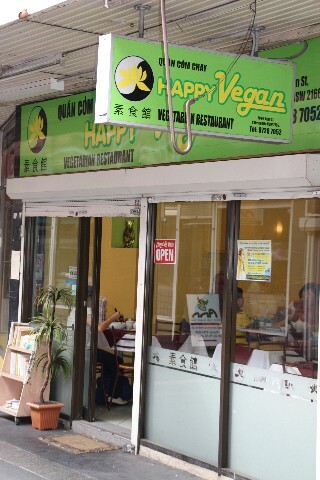 Happy Vegan Vegetarian Restaurant 11/68 John St Cabramatta Ph: 9728 7052. 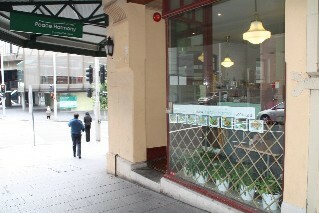 Peace Harmony Thai Vegetarian Restaurant (1 review) 44 Erskine St Sydney Ph: 9262 2247. Vegan cuisine. Open for lunch Mon - Fri, dinner Mon - Saturday. For restaurant reviews for Peace Harmony click here. Yulli's Bar 417 Crown St Surry Hills Ph: 9319 6609. Great vegetarian menu and some awesome organic beers. Emelia's Vegetarian Restaurant 41 Griffin Rd North Curl Curl. Ph: 9939 1317.